Marie Kane received her undergraduate degree in Secondary English Education from Bloomsburg University and earned a Master’s Degree in Education with a concentration in Creative Writing from Arcadia University in 1995. Other studies include a brief graduate writing program under the guidance of Dana Gioia in 1990, and a program at the University of New Hampshire in 1997 with Donald Murray and others. She also participates in annual Poetry Master Classes at Bucks County Community College with Dr. Christopher Bursk. Marie is the 2006 Bucks County (PA) Poet Laureate. She has received recognition from the National Foundation for the Advancement of the Arts and an award from The Scholastic Art and Writing Awards for her teaching of high school writers. She co-chaired, and then chaired, the James A. Michener Art Museum scholastic poetry contest for a total of ten years. After twenty-eight years, she retired from Central Bucks School District (PA) where she taught Creative Writing, Honors and Standard Sophomore English, Senior World Literature, AP English, and various electives. She has been a featured reader at the New Jersey State Museum, James A. Michener Art Museum, the International House in Philadelphia, Bucks County Community College, Musehouse, and at many other universities, art centers, bookstores, and libraries. Two of her poems have been nominated for a Pushcart prize. 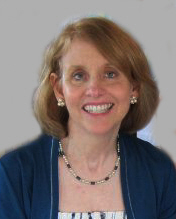 Some of her writing credits include the Belleview Literary Review, Schuylkill Valley Journal, U.S. 1 Worksheets, Meadowland Review, The River, Stirring, The Bucks County Writer, Wordgathering, two Inglis House anthologies, The Poet’s Touchstone, and the Delaware Valley Poets Anthology, among others. She is a second place winner in the 2008 Poetry Society of New Hampshire’s International Contest, a second and third place winner in the 2009 Inglis House International Contest, and a second runner up in the 2010 Robert Fraser contest. In the spring of 2012, she was the final juror for the Montgomery County (PA) High School Poetry Contest, and for the past four years has been the final judge for the national scholastic Sarah Mook poetry contest. She is an editor at Poetry WITS, an online scholastic poetry journal. Big Table Publishing of Newtown, MA published her chapbook, Survivors in the Garden, in June of 2012. She was diagnosed with Multiple Sclerosis In 1991; much of the poetry in the book deals directly with MS.
She has been writing since she was nine. She believes that poetry connects emotion and senses to reason and thought, and, when the “right words are put into the right order,” reveals overlooked corners of a life.